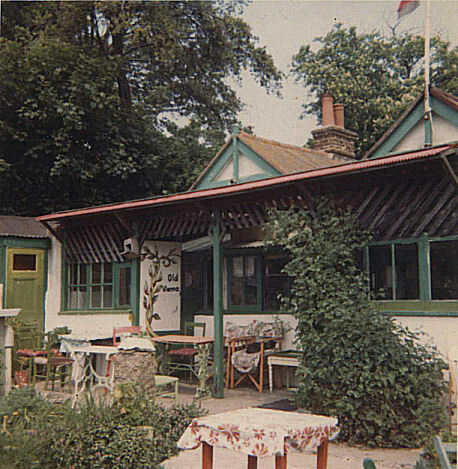 We used to live on Long Hill Road, Ovingdean and I had a weekend job in the Old Vienna Cafe in the early 1970s until it closed. I served the customers and washed up in the kitchen at the back. Mrs Brown made the most wonderful apple strudel. I remember watching her roll out the filo pastry and telling me that when you could read newspaper print through it, it was thin enough. She taught me how to make real milky coffee with a cup of milk brought to the boil in a small milk pan. She had geese running loose when the cafe was closed; she said they were better than guard dogs. She rented out the wooden chalets to single men, some of whom were quite peculiar. One day, one of them ran amok with a large knife and I was told to run to the telephone box at the bottom of Ainsworth Avenue and call for the police. That was great excitement for Ovingdean, luckily no-one was hurt. We lived in Ovingdean until 1976, I loved it there, surrounded by the fields and downs, with the beach on your doorstep, yet near to the town of Brighton. Such a good place to grow up, I was very lucky. I used to go for long walks over to Ovingdean with my parents and sister on some Sunday afternoons and remember stopping off in a little cafe in Ovingdean. My mum used to buy us a Vienese Whirl cake. I can’t remember where it was though. Was it after the church, just on the bend. Great photo by the way.